Stainless Steel Alloy 254 Bar, UNS S31254, Stainless Steel Alloy 254, stainless steel Alloy 254 round bar, Alloy 254 Stainless Steel Bars, Stainless Steel Grade 254 SMO Round Bar, ASTM A279, A479 254 SMO Round Bars, 254 SMO Bright Bars, Suppliers, Manufacturers, Exporters, Mumbai, India. Specialist supplier of stainless steel Alloy 254 round bar. It can be supplied in a range of sizes and finishes with varying tolerances. Cold-finished stainless steel bar is usually supplied to meet the international standards of ASTM A276/A484 or A582/A484M. Alloy 254 Bar is a molybdenum-bearing austenitic stainless steel with greatly increased resistance to chemical attack as compared to the conventional chromium-nickel austenitic stainless steels such as Alloy 304. In addition, Alloy 440 offers higher creep, stress-to-rupture, and tensile strength at elevated temperatures than conventional stainless steels. It is a low carbon or "L" grade which provides resistance to sensitization during welding and other thermal processes. Calico Metal is is a stock a full range of stainless round bars from 8mm diameter to 600 mm forged bars with 4 meters to 6 meters length. Nearly all grades of stainless steel are stocked in round bar, including 302, 303, 304/L, 304H, 309/S, 310/S,316/L,317/L, 321, 321/H, 347, 347H, 410, 416, 420, 440C,17-4PH,Duplex 2205 and Alloy 20. 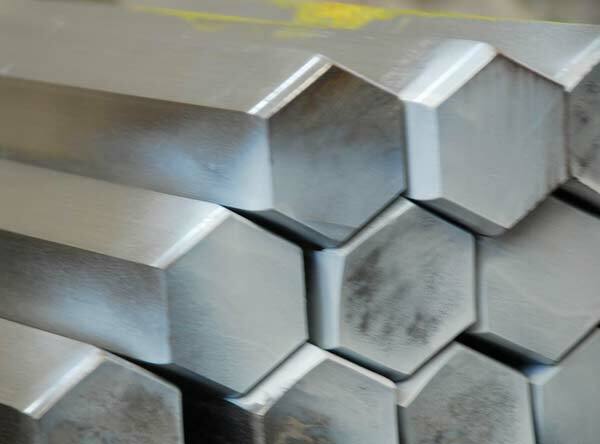 We manufacture products such as Steel Rounds, Squares, Hexagons, RCS and Bright Bars of various grades which are used as raw material by various manufacturers of Engineering, Forging, Bright Bars, Auto Components goods. Alloy 254 Bar is a titanium stabilized austenitic stainless steel with good general corrosion resistance. It has excellent resistance to intergranular corrosion after exposure to temperatures in the chromium carbide precipitation range of 800 – 1500°F (427 – 816°C). The alloy resists oxidation to 1500°F (816°C) and has higher creep and stress rupture properties than alloys 304 and 304L. It also possesses good low temperature toughness. It was developed for enhanced creep resistance and for higher strength at temperatures above 1000oF (537°C). In most instances, the carbon content of the plate enables dual certification.